Ghetto Youths International has announce some upcoming dates for Stephen Marley Revelation Part 2 tour of Europe. The 9 weeks tour will take Marley across several European territories including The Netherlands, France, Switzerland, Germany, Czech Republic, Hungary, Austria, Poland, Spain, Denmark, Sweden, Belgium and Italy. 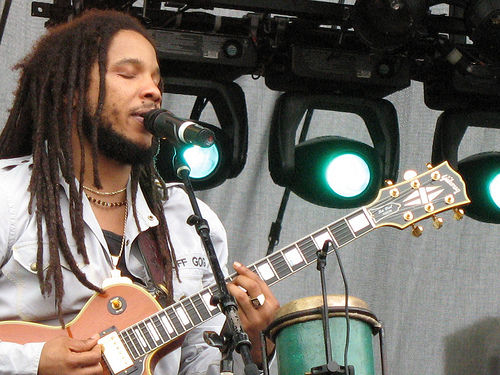 While Stephen Marley has built a formidable reputation navigating between genres, the 2011 Grammy Award winning album, Revelation Part 1: The Root of Life (Universal / Ghetto Youths) quickly rose to the top of the charts world-wide, marking a critically acclaimed return to Stephen Marley’s roots-reggae foundation. The eight-time Grammy Award winning producer, singer-songwriter, multi-instrumentalist and second son of legendary reggae artist Bob Marley plans to release a follow-up to Revelation Part 1: The Root of Life entitled, Revelation Part 2: The Fruit of Life on Universal Records / Ghetto Youths International, which Marley describes as leaning more toward “an eclectic feel”. Stephen Marley is currently accepting interview requests in advance of his European tour dates. For more information contact Ghetto Youths publicist, Diane Podolak at ghettoyouthspublicity@gmail.com. See Stephen Marley tour dates below. boom going to see the real grammy kid.